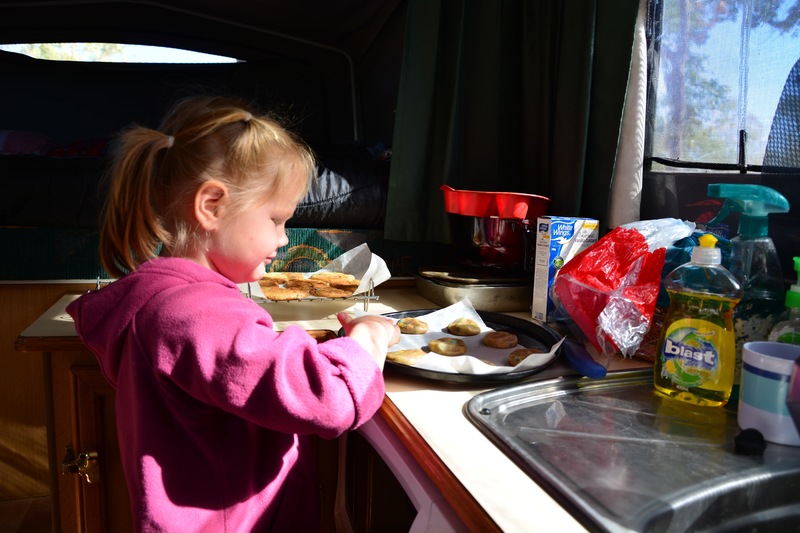 We have been doing and seeing some amazing and beautiful things over the last few weeks and I have fallen behind with the blog entries again! 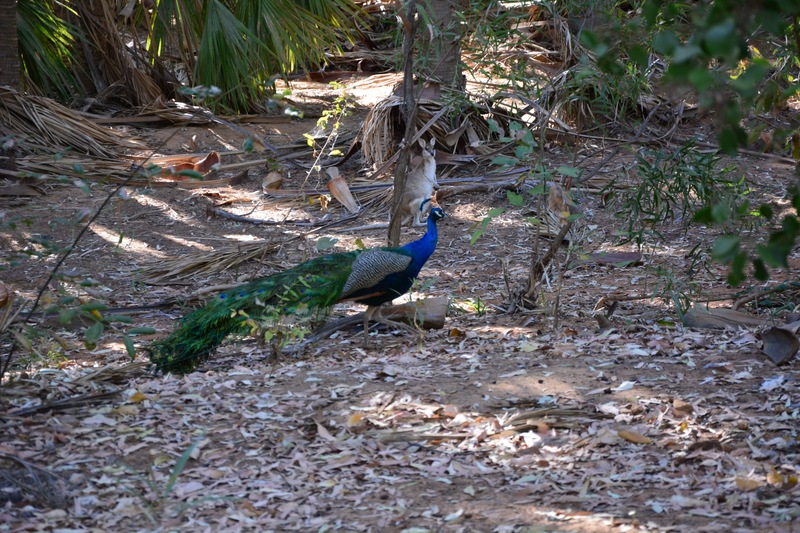 I am excited to share some of our photos with you so will hopefully get all up to date while we are here in Broome this week! Broome is spectacular by the way! 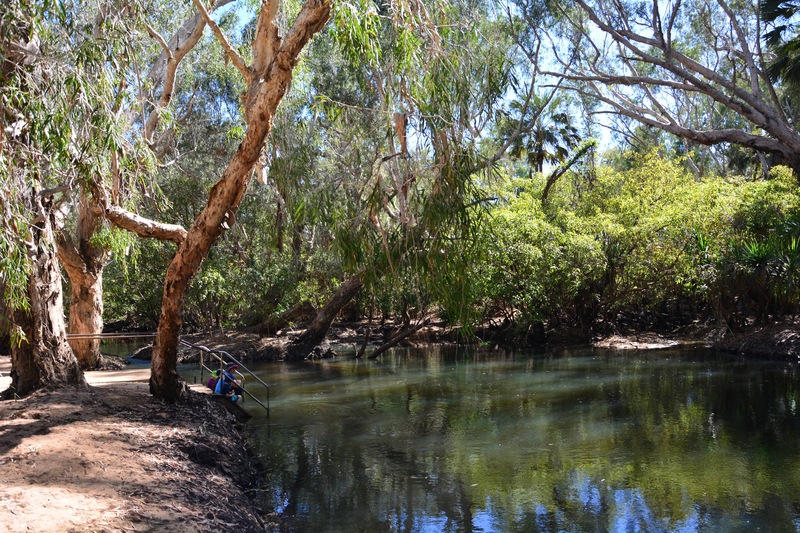 After spending our forced week stop over in Tennant Creek with our car/camper issues (the problems all stemmed back to Karen Camper and some worn out wiring on the electric brakes – Matt will give you the details), we finally headed off to Mataranka which was about 5 hours drive north of Tennant Creek. 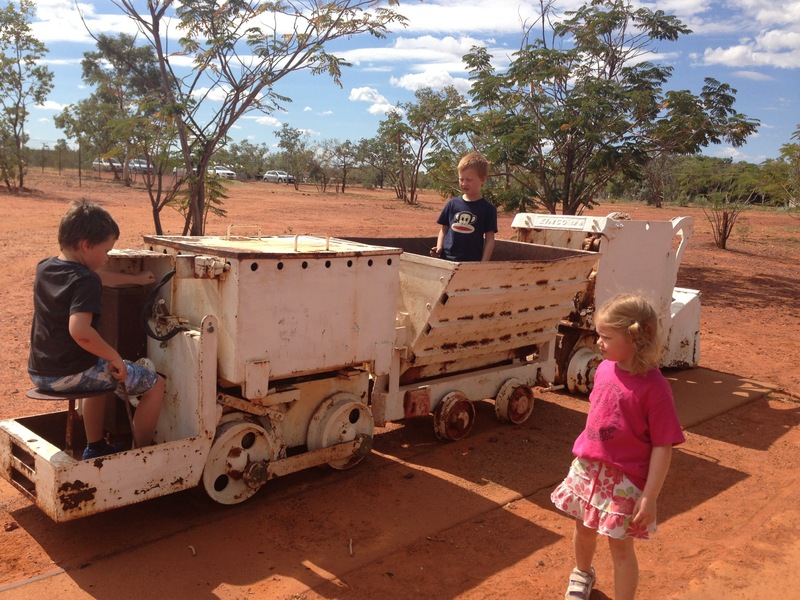 We have to admit though that we did enjoy our time in Tennant Creek despite being a bit stressed and cranky about the car! 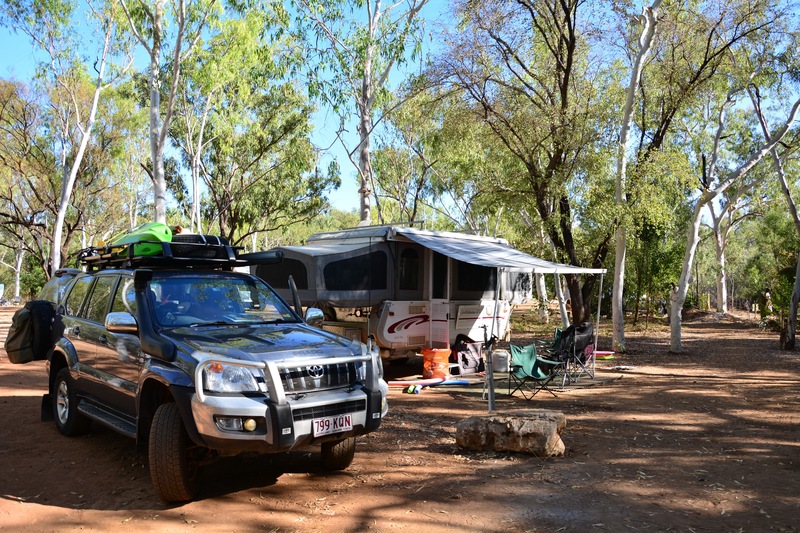 All up we had 6 nights there – 4 nights in the camper in the Caravan Park and then 2 nights in a cabin in the same caravan park – thankfully all paid for by RACQ with our Ultimate cover – very grateful that we had that cover! 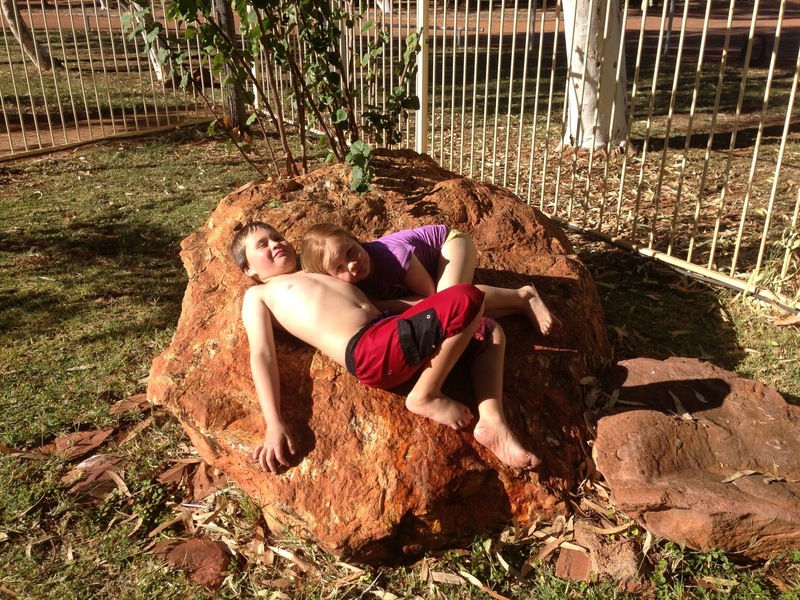 We stayed at the Outback Caravan Park which was one of the nicest caravan parks we have stayed in so far! 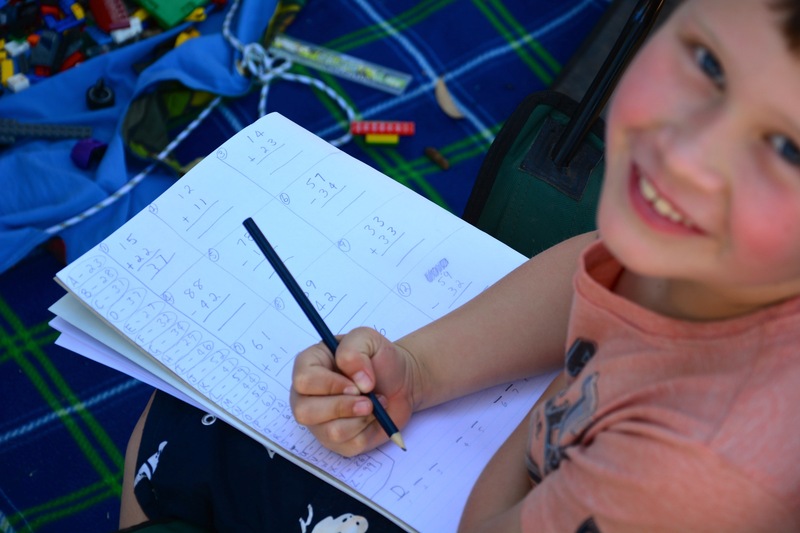 We had lots of time to get some school work done, do some baking, catch up on our washing and the kids enjoyed the warmer weather and the pool (even though the water was freezing still!). We again spent some time at the library which we always enjoy – new book for Jack to read, toys for Toby & Lexi to play with and the librarians are always happy to chat away to me! 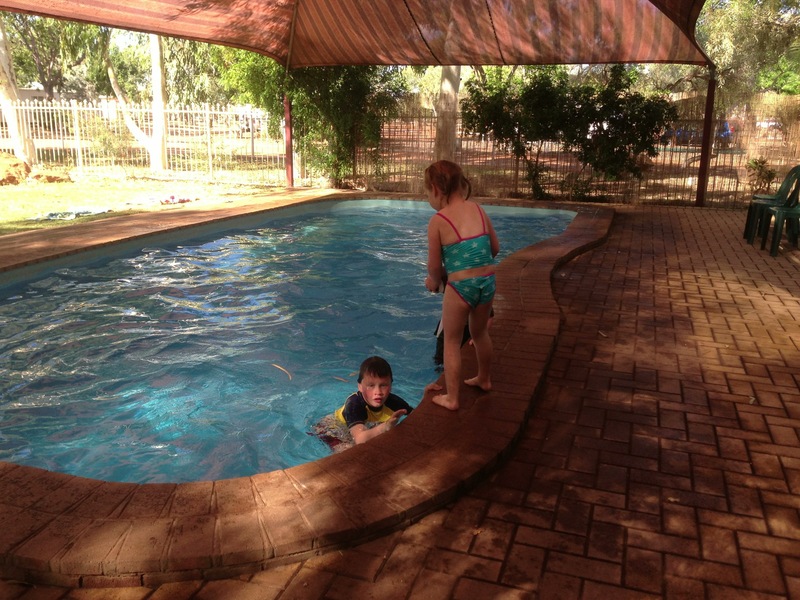 Lots of pool time – great pool but freezing cold! 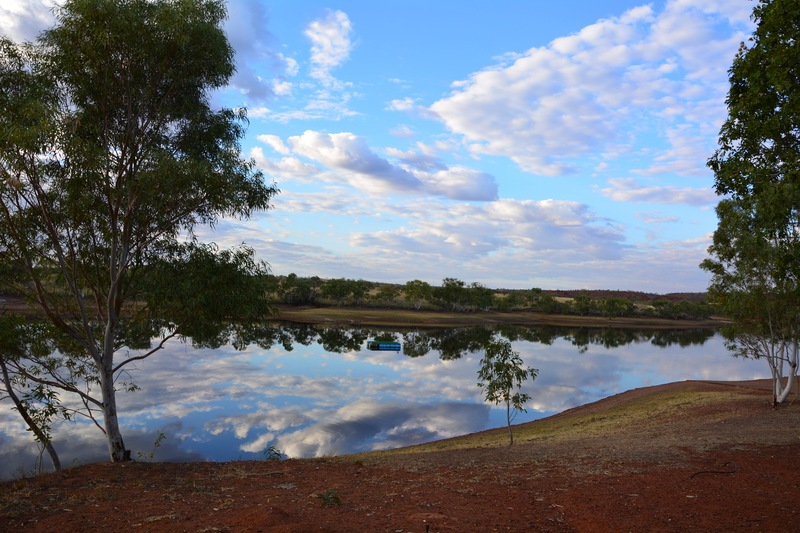 When we finally left Tennant Creek we had a quick stop to check out Lake Mary Ann on the way out – it looked quite nice but not a very big dam and unfortunately no camping there. And then we once again passed the camel man being pulled along by his camels on the highway. We have since discovered from other travellers that his name is Klaus Menzel and he is actually quite famous! 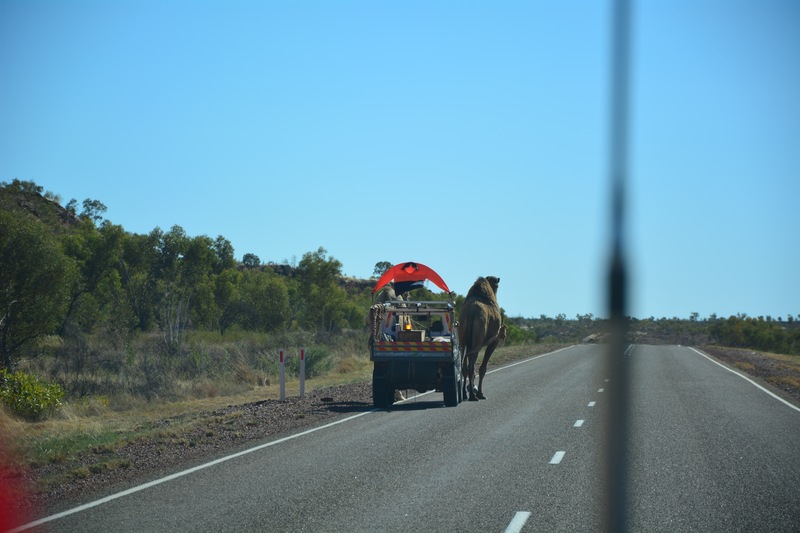 Klaus Menzel and his camels – they got further than we did in 3 days! 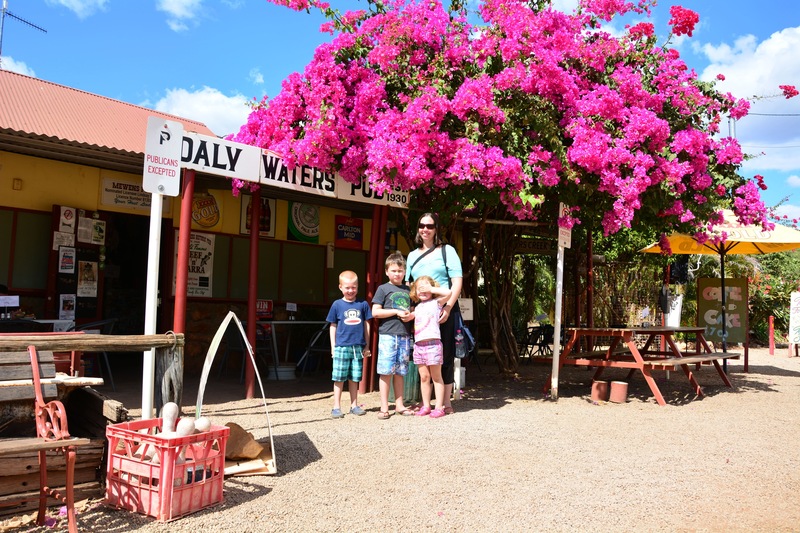 We stopped for lunch at the Daly Waters Pub which was really interesting – definitely a pub with lots of character – would be a fun place to camp, and the food is very reasonably priced and pretty yum! It gets very busy though! 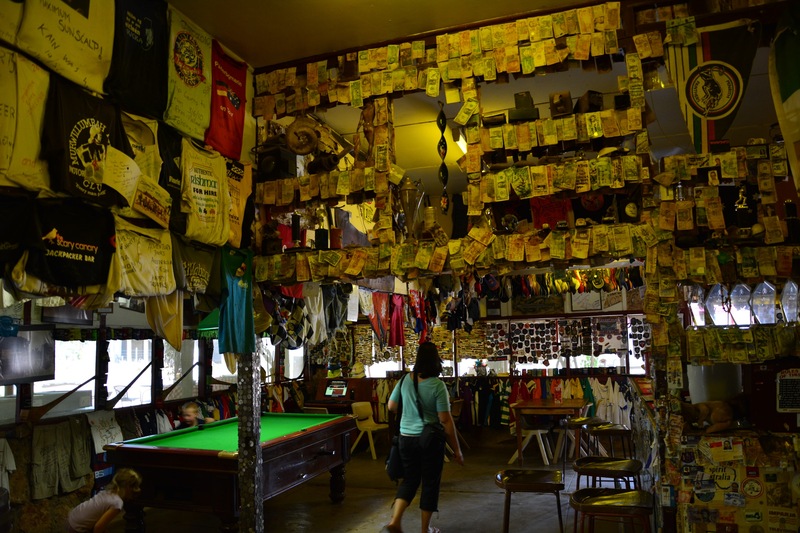 All kinds of things hanging up in the Daly Waters Pub – it did smell just a little inside! 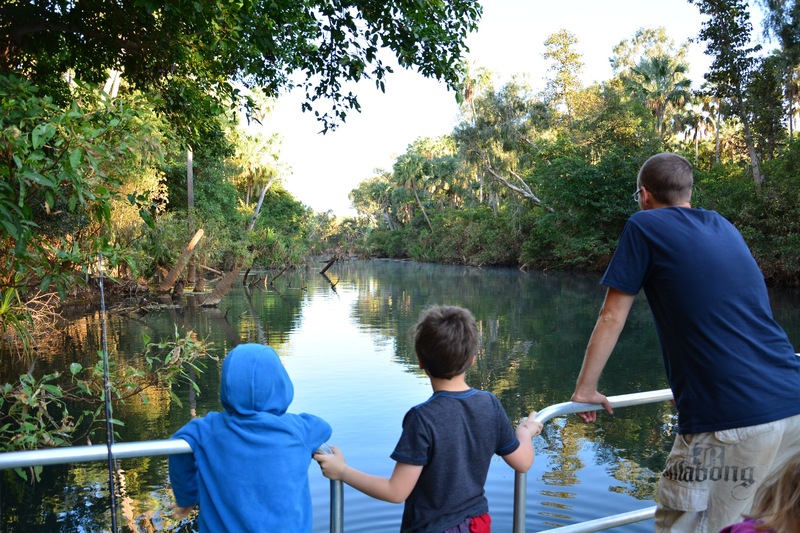 And then at last we made it to Mataranka where we met up with Matt’s dad & Rema – we were all really excited to see them!! 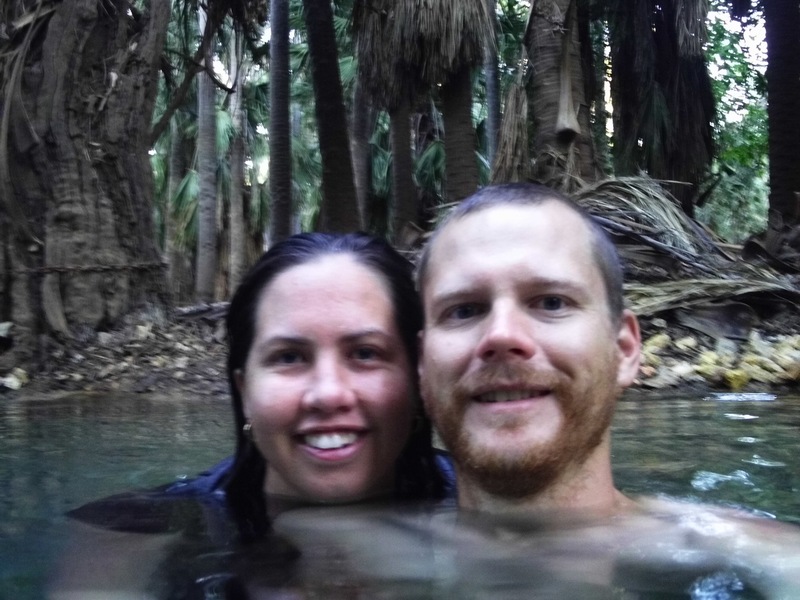 We camped for two nights at the Mataranka Homestead campground which had heaps of room for us to choose our own spot in the unpowered area and was just a short walk to the Rainbow Springs Thermal Pools. 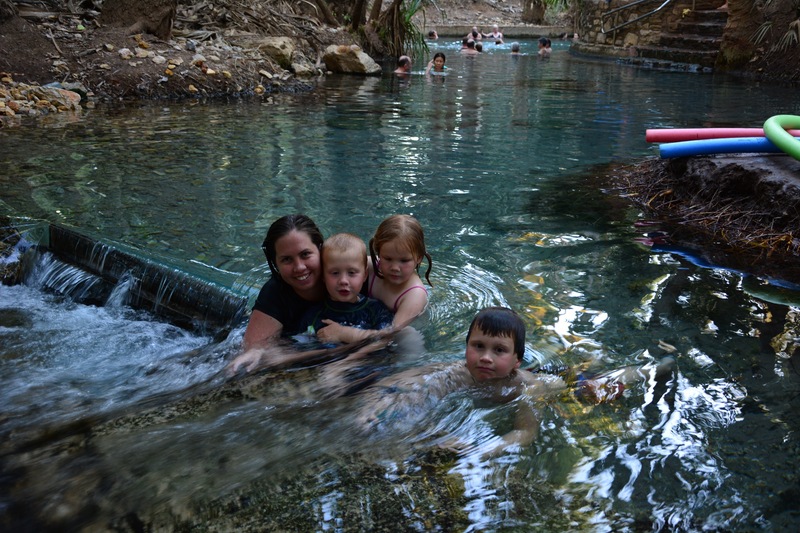 The campground was a little tired and a bit dusty but the thermal pools were sooooooooo good! 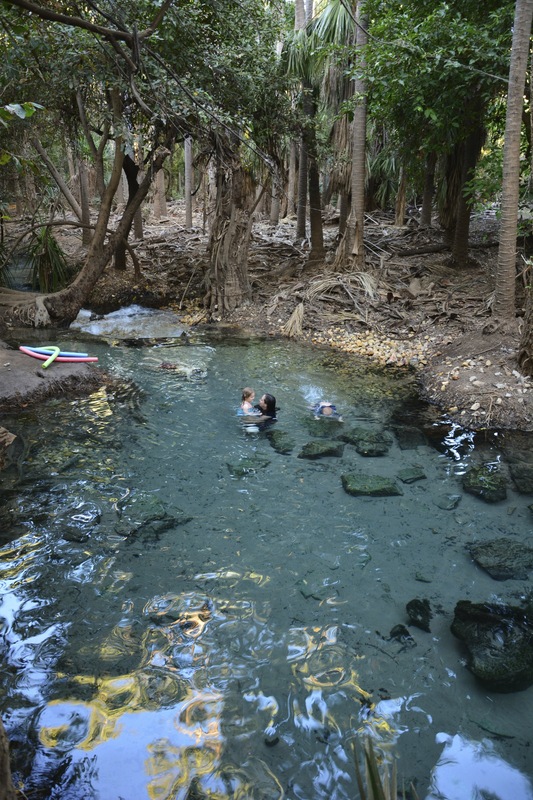 They were beautifully warm and we all spent hours swimming – such a treat after being so cold for the last few months!!! 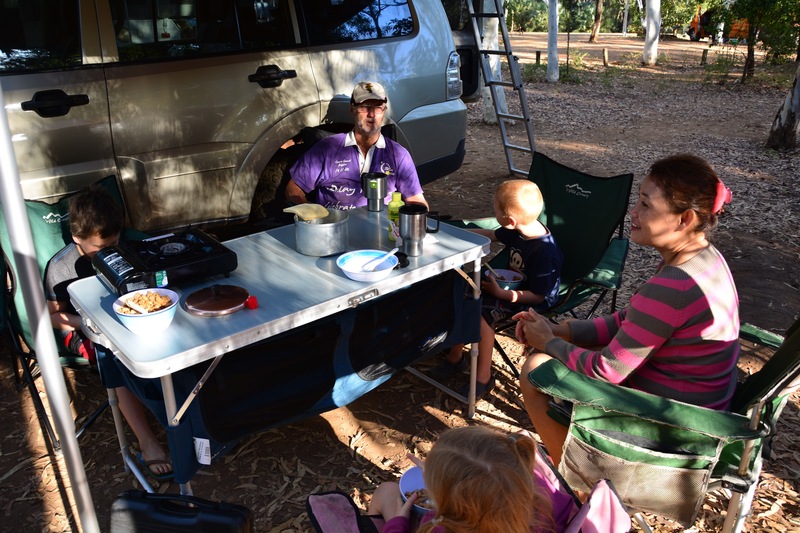 We also got to watch a really great family band (Mum, Dad, 16yr old son and 12 yr old son) who played some great music and it was really inspiring to watch a family travelling around Australia – all sharing something they love! It has been amazing on this trip to see all the different lives people lead – such a great country we live in that we have the freedom to do this! The kids loved seeing other kids not much older than them up on stage playing the electric guitar and drums – hopefully they will remember this when we go back to their piano lessons when ‘normal’ life returns! 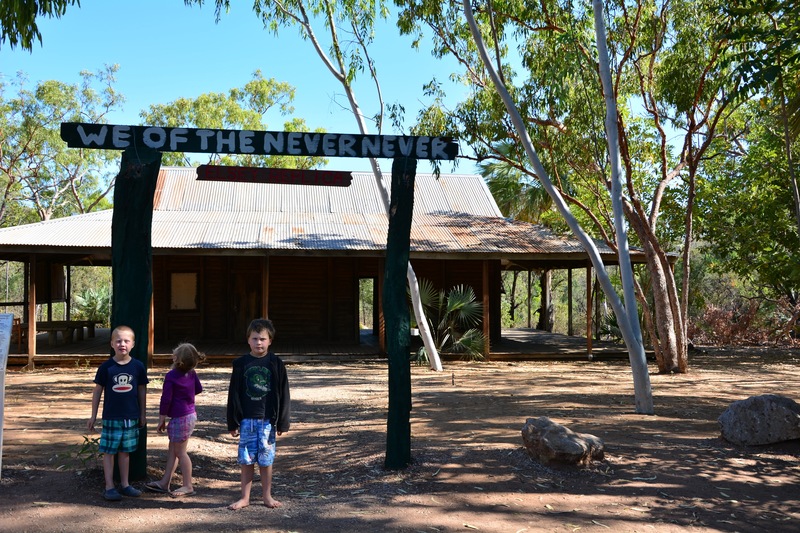 The movie “We of the Never Never” was filmed at the Mataranka Homestead Caravan Park and the replica of the original homestead is still part of the attractions here, so we had a wander through – will have to watch the movie now! 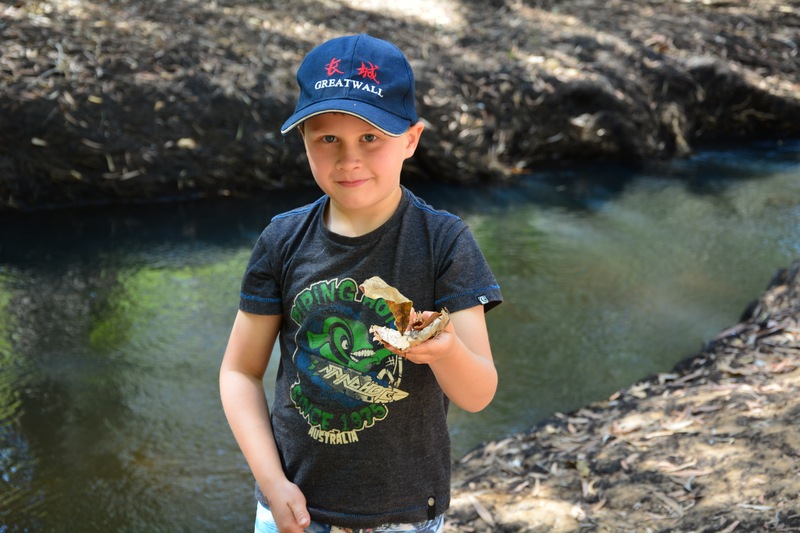 We did the 2.5km return walk from the caravan park into the Elsey National Park and checked out the Waterhouse River and checked out the swimming hole called Stevie’s Hole. 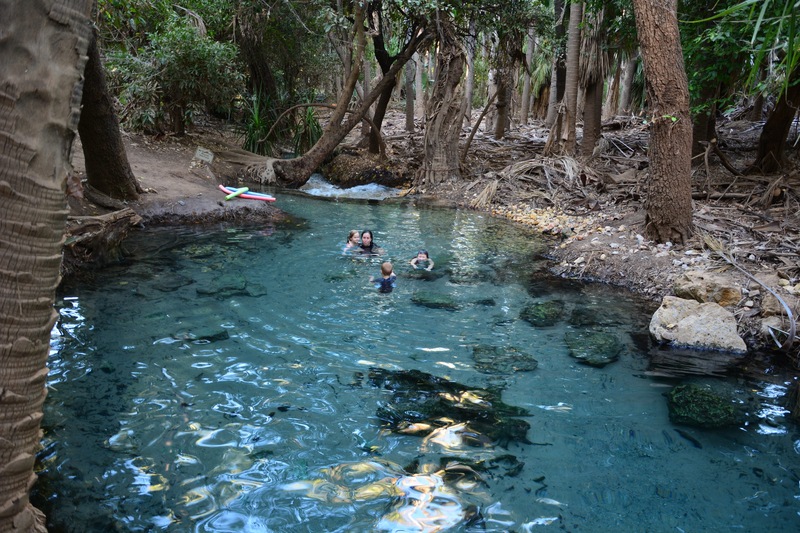 We also spent a morning floating down the river at Bitter Springs which is only about a 10 minute drive from the Mataranka Homestead Caravan Park. 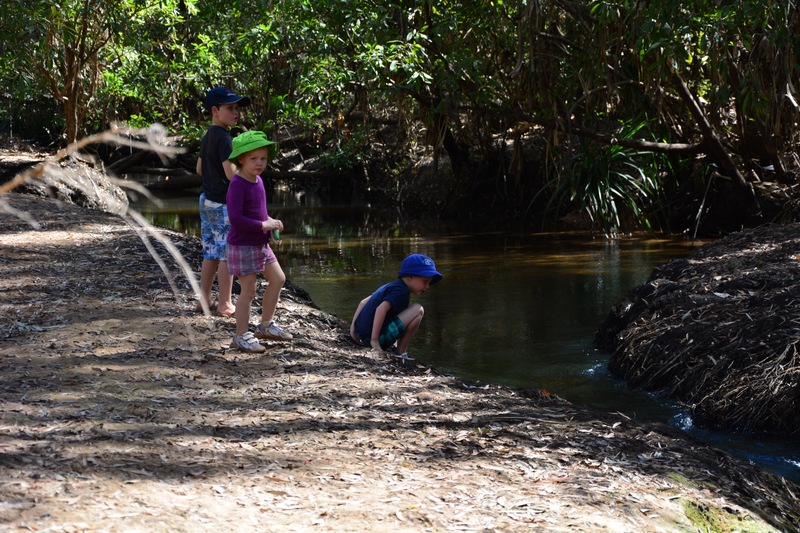 It was lots of fun letting the current take us about 200metres down the river and then walking back on the dirt track to do it all again! 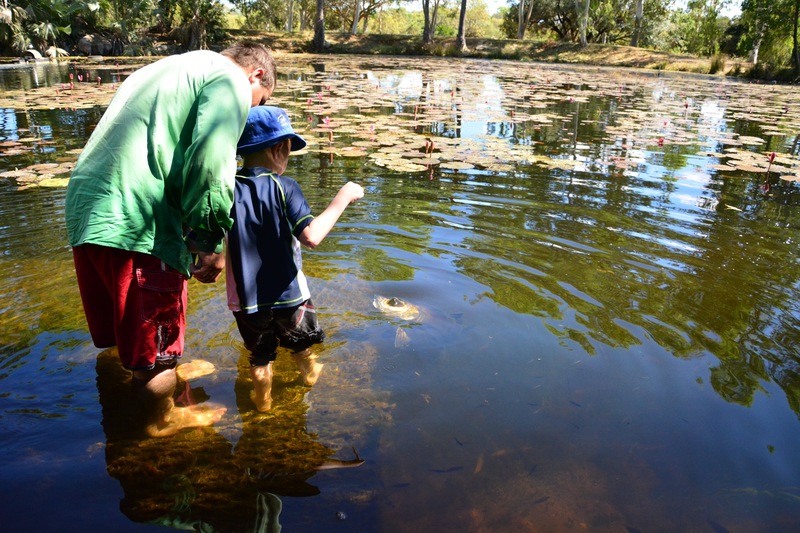 On the way home from Bitter Springs we stopped in at the Territory Manor Caravan Park and checked out the free Barramundi feeding they do there at 9.30am and 1pm every day. 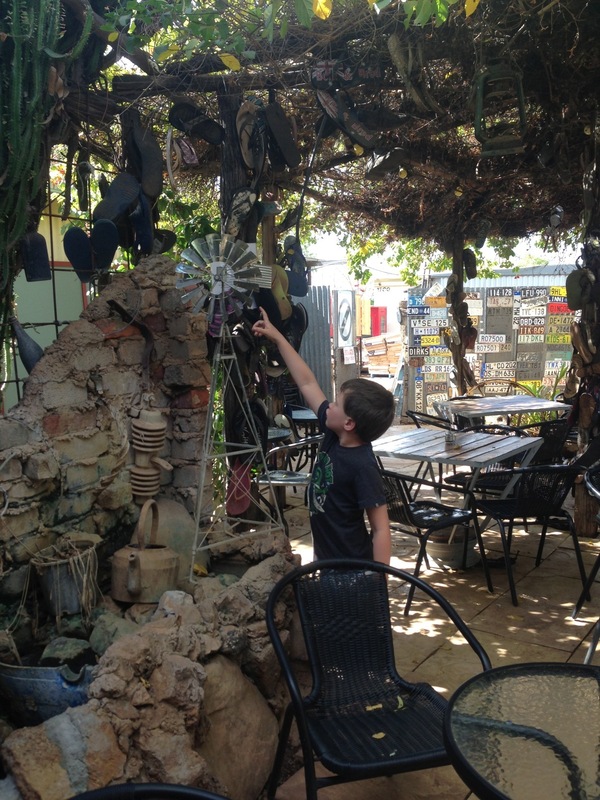 The boys loved it! 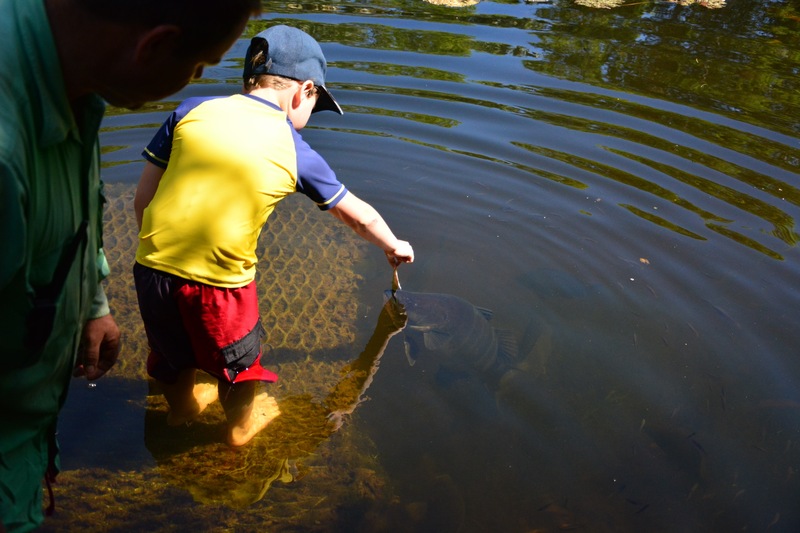 Toby a little scared at the Barramundi Feeding! 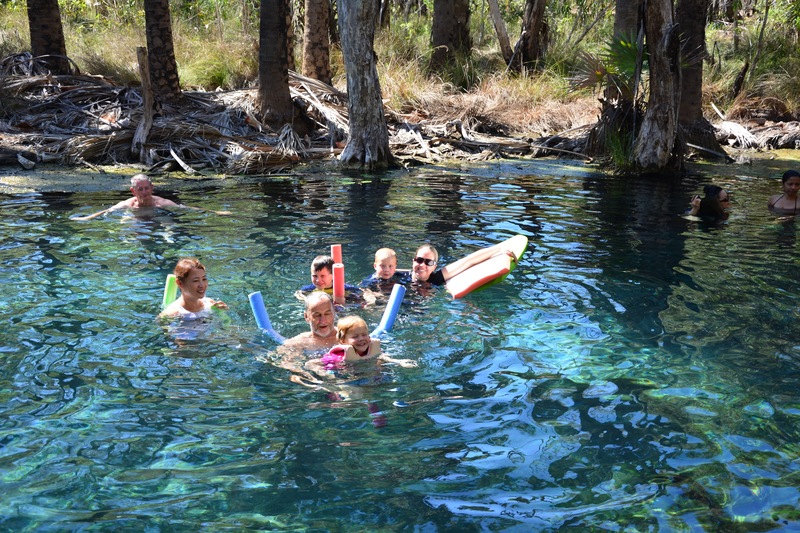 So yep – another great spot to add to your ‘must visit’ list if you haven’t already been there – we loved it, definitely could have stayed longer – next time we would like to kayak to Mataranka Falls from the National Park campground – putting on the ‘must return’ list!